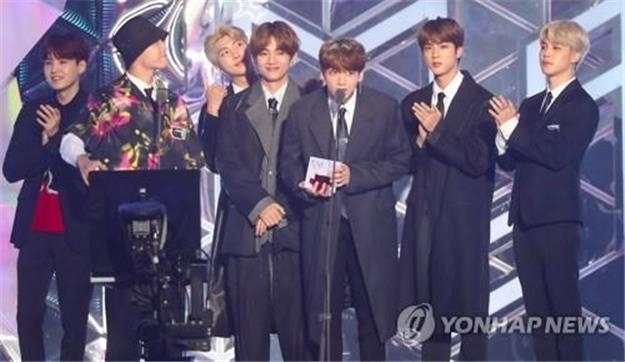 SEOUL, Nov. 28 (Yonhap) — K-pop star BTS’ latest album “Love Yourself: Answer” extended its presence at the top Billboard album chart to the 13th week, chart results showed Wednesday. The BTS album, the finale of the “Love Yourself” trilogy, ranked 70th on the Billboard 200 chart for the week of Dec. 1. The album also retains its No. 1 spot on the World Albums chart, where BTS’ previous “Love Yourself: Tear” and “Love Yourself: Her” albums ranked fourth and third, respectively.